The Big Question: Should You Pay Out a Cyber Ransom? The threat of cyber extortionists holding data hostage is significant. Symantec’s 2017 Internet Security Threat Report lists ransomware as the ‘most dangerous cybercrime threat facing consumers and businesses’. Last week, South Korean web-hosting firm Nayana agreed to pay a $1m ransom to unlock computers frozen by hackers. Security experts warned that firms should not pay such ransoms or enter into negotiations with hackers. In addition, today several firms globally were held to cyber ransoms including banks, airports and government systems around the world. Even DLA Piper suffered an attack according to the BBC. When considering high-risk industries like financial markets, the data and infrastructure at risk is both incredibly sensitive and complex. Once adversaries gain access to an environment, they can access everything from proprietary algorithms and trading strategies through to sensitive customer data. This week, Finance Monthly received its biggest ever number of responses to the question ‘Should Companies Pay Cyber Ransoms?’ Below are just a few of the responses from top experts around the world. The magic of the internet and today’s cutting edge technology is based on a give and take relationship. To take all the lightning quick information and globalised communication, we have to give our personal details and highly sensitive information in return; like a sacrifice to the all-powerful cyber gods that we’re forced to trust so our crops might be more fruitful next year. The easier things get for us, the larger the anvil hanging over our head becomes; and this form of cyber terrorism we’re seeing with Nayana is only going to grow. This might soon see a return to more physical forms of media to avoid the proxy-warfare of recent headlines, but for now, and it is a weak answer: it’s a matter of balances. Maybe the correct move is to stand up to the bully and not give them your lunch money, because next week they might come back for your homework or the intricate details of your eight figure business plans. Giving in to demands, however, might result in you going hungry throughout the day – or, to put an end to that analogy, your work force of mothers and fathers going hungry because you can’t pay them anymore. Films taught us to puff our chest out, but, even though this news story might resemble the plot line of a 1980’s Paul Verhoeven film – this isn’t a film. There is no simple answer because every question is different. Is the $1 million more valuable than the files they’re holding a gun to the head of? Maybe they’re outdated and you don’t need the information anymore? There is no definite answer, which makes this a bad one – but, also, the right one. organizations to pay the ransom. In 2016, it became common for thought leaders to say “Never pay the ransom, but …” and that “but” was meant to allow wiggle room for instances when a $500 ransom was cheaper than the hassle of not paying, or when healthcare entities were dealing with true matters of life and death. But the problem with either of those scenarios is: As soon as one pays the ransom, then one has reinforced that the attackers made the right decision to attack. The only reason this crime thrives is because it’s profitable organizations (despite what they say publicly) continue to pay the ransom. When that stops, so will the attacks. If the situation has gone so far that an organisation has actually been breached, then paying can be the best option open to them. Ransomware is truly insidious and can often encrypt most, or if not all of an organisation’s data. This makes it completely unusable and puts a halt to any internal business and IT processes. Such is the professionalism and expertise of modern hackers, it can be very difficult to fend off Ransomware once it has taken hold. To try and clean the virus, delete all of the encrypted files and then restore them, would not only cost a lot of money but would require a number of highly skilled engineers too. Even then, there is no guarantee of success. That’s why I believe that when it has gone this far, the only way is to pay. Of course, it would have been far better to spend this money in a different way – securing the data properly and effectively in the first place, and covering any residual risk with good insurance. Organisations do not always do this even when they have suffered an attack, believing lightening won’t strike twice. This is misguided. When it comes to cyberattacks, lightning can and will strike on many occasions – the security threat in 2017 is incredibly complex, varied and on-going. Without continuous protection, organisations will be hugely vulnerable and may find themselves facing expensive ransom demands. The news that South Korean web-hosting firm Nayana has agreed to pay a $1m ransom to unlock computers frozen by hackers is stirring a new narrative around whether we should be giving in to hackers. While industry experts have been preaching against this, companies are ultimately left facing the prospect of irreversibly losing valuable data, or paying a certain, often excruciating, amount of money to save their businesses. Paying ransomware encourages the lucrative side of malicious cyber activity, which subsequently attracts more actors willing to engage for their personal gain. The truth is that many organisations probably don’t see themselves as ‘high value targets’ for attackers and it’s likely that they have very minimal protection or staff training and awareness. However, for many malicious actors finding vulnerabilities is their bread and butter, and they will look to hold organisations to ransom through a ‘soft attack’ that compromises its data. Organisations should ensure they have good backups if they are infected. They must take a proactive and intelligence driven approach to security, by monitoring phishing campaigns which evade their mail gateway controls for example. Backups, risk analysis, staff training and further practical advice such as application whitelisting and incident response will ensure the risks associated with ransomware are as low as possible. With this knowledge there is no excuse not to be prepared. Cyber criminals are entrepreneurial, well-sourced and motivated, and we shouldn’t be repaying their efforts in hefty amounts of ransom. Faced with not having access to your systems, data or website, it’s tempting to take what seems like the line of least resistance and pay a ransom straightaway. But there are good reasons why that might not be the best thing. From a cyber insurance point of view, the most obvious alternative is to get in touch with your insurer. This kind of situation is exactly the sort of thing your policy is for. Your insurer has access to cyber security experts who will evaluate and deal with the problem for you. Of course, if there’s no way around it, your policy will cover the ransom. But ideally your insurer will want to sort the situation by other, technical means if possible – there’s no guarantee paying up means case closed. Who’s to say you’ll get your files back, even if you cough up? Your insurer certainly doesn’t want to trust the word of a cybercriminal. The point here is that two (or more) heads are better than one. You don’t have to deal with a ransomware problem – or any other cyber-attack – on your own. Cybercrime is alien territory for most businesses, and it makes sense to get help when you need it most. A specialist insurer not only has the money to sort out these situations, it has the time and the expertise too. Although undoubtedly unsettling and very much an unknown quantity, cyber-attacks involving ransomware aren’t always the business disaster they might first appear to be. Paying up doesn’t have to be a given and doing so, worst-case scenario, can risk turning you into a future blank cheque. Preventing an attack in the first place can be equally expensive and time-consuming (and, given the odds, arguably futile), so it pays to have help and support on standby for if and when you’re targeted. You don’t need to be a cyber security expert to recover from an attack – you just need to know someone who is. This case sets an unfortunate precedent. Whereby larger organizations are shown to be prepared to pay significant sums of money to cyber-criminals. It will only stoke the fire of ransomware and the attacks on business if the perpetrators think they will get away with it. In the non-cyber world, we saw this with the Somali pirates, where once ransoms started to be paid, there was a huge rise in vessels and crew being taken hostage. Our advice is always the same for both individuals and organisations: once you’ve been compromised, do not pay the ransom. By paying, you’re opening yourself up to further attacks as the criminals will see that A) the organisation has the willingness to pay ransom and B) the cash reserves to do so. Furthermore, in more than 30% of cases, access to the information is not returned, i.e. you still don’t get your data back in an unencrypted form. All too often, the cyber-criminals take the money and then re-encrypt systems a short while later – as the malware will still be lurking in the background, unless it has been fully removed. This is not the only issue, negotiations between the criminals and organisation can take up valuable time and resources – according to reports it took Nayana over a week of back and forth with the hackers to come to an agreement. Ransomwares’ biggest impact is downtime of the organization, with several organizations requiring complete IT shut-down and the return to pen and paper while the issues are resolved. The best defense against ransomware is firstly, to ensure all systems and applications are kept up to date with security patches being applied; secondly, ensuring that security systems are in place that strip hidden active content (the type likely to be ransomware) out of documents and emails coming into your organization; and thirdly, to regularly backup critical information. Backups are key and can ensure that even if information is encrypted, you won’t be in a position where you have to pay – minimizing the harm to you and the reward to the criminal to zero. Ransomware is an increasing threat, and one which is here to stay. Although businesses may not like the thought of paying a cyber ransom, in today’s digital era if an entire business’s IT environment is frozen then they are unable to function, this loss of productivity can come at a far higher cost than the ransom itself. When it comes to deciding whether to pay a ransom, a business essentially needs to understand how much an outage or a loss of key data assets is going to cost them. This information will allow a business to measure risk against cost and make an informed decision. If a cyber ransom is £500 for example, whereas loss of productivity could cost thousands, the decision can be made easily by those responsible for IT security within a business. Furthermore, this information should also be used by a firm’s senior leadership team to determine which protections and solutions should be put in place to prevent the business from being infiltrated by ransomware again, or by another type of cybersecurity threat in the future. IT security must be a priority, however, and firms must not wait until ransomware strikes to conduct these risks versus cost reviews and act ahead of time. Firms should never cave in to ransom demands from hackers. First of all, paying up does not guarantee the safe return of data. Datto conducted some research into this topic during the twelve months up until September 2016. We found that almost half – 47% – of the European firms which opted to pay ransoms, didn’t get all of their data back. Secondly, firms that choose to cough up can quickly gain a reputation amongst cybercriminals for being a soft target. This leaves particularly susceptible to future attacks. On a wider scale, each and every time a ransom is paid more money is ploughed into the criminal underworld. Today’s hackers work like businesses, with a portion of their income being invested in R&D. This extra cash could be used to develop new strains of malware or to exploit new vulnerabilities. While paying a ransom seems like a quick fix, it has negative, long-term consequences for all organisations. Instead of paying ransoms – especially ones with $1 million price tags – organisations need to invest in better defences. Patching vulnerable IT systems is vital, as are perimeter defences such as anti-virus software and firewalls. But these alone are not enough. Firms also need to back up their data. If they call roll back their systems to a point in time before their data was illegally encrypted by hackers, firms can carry on as normal, with no dramas and no ransoms. 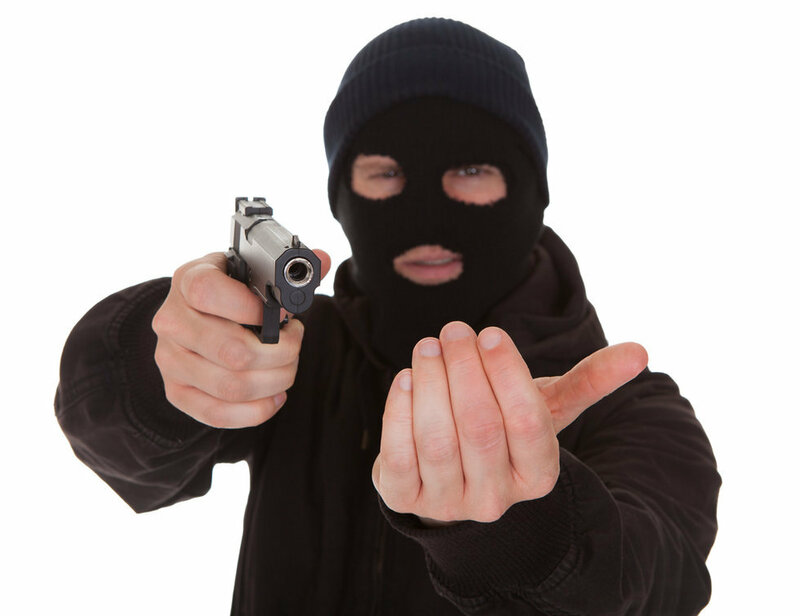 An analogy often used to describe ransomware and whether to pay up or not is ‘protection racket’. In old-fashioned mob movies, two guys walk into a grocery store saying ‘Hey, nice store. Would be a shame if something were to happen.’ The reason the mob ‘insurance’ scams worked is because the value of the protection was higher than the cost of the insurance – and the mob delivered on their promises. In the case of ransomware, the value of the data is higher than the ransom and operators go through great effort to ensure users get their data back. Occasionally there are errors, but in general, people do get their data back. 3. If you don’t want to report a ransomware attack to law enforcement, consider sending details of ransom payments to a security company research team – such as ours – so that data can be used to try to identify the criminals behind these campaigns and bring them to justice. Ransomware has been called the most profitable criminal business model in history. Bad guys infect a workstation or whole network and hold the data hostage until a fee is paid to get it back. Last month, the WannaCry ransomware strain went global, impacting computers in more than 150 countries and wreaking havoc on Britain’s National Health Service, Spain’s Telefonica and France’s Renault automobile factory. Ransomware has become a “when, not if” scenario for businesses of all sizes. Typically ransomware comes into a company through an employee– usually by opening the attachment of a phishing email which then gives cyber criminals the ability to download the malware onto the users’ computer or network without their knowledge. Low-grade spray-and-pray phishing attacks that only infect one workstation are relatively easy to fix by IT. Wiping the workstation and rebuilding it from scratch takes about 20 minutes. Infected workstation with a connection to a file server – files on that server get encrypted during infection and a whole group of employees are left to sit idle without access to their files. Network compromise – when the cyber criminals have been on the network for some time and were able to infect all of the organizations’ machines and lock them at the same time. This type of infection can be detrimental to a business with critical components no longer running and a ransom of $50,000 or more. It is crucial to start with a so-called defense-in-depth strategy to protect your network, including weapons-grade backups that are regularly tested, ensuring all software is up to date, running antivirus software but not relying on it, identifying users who handle sensitive information and checking firewall configurations to make sure no criminal network traffic is allowed out and educating your users as your last line of defense so they can stop ransomware before it comes in. Companies that experience ransomware attacks should never consider paying any ransom demand. Not only does it cause reputational damage and a loss in customer confidence, but once an organisation succumbs to paying a cybercriminal there is still no guarantee that full recovery will occur. Trusting cybercriminals to provide a decryption key can often take days, weeks or not happen at all. Businesses should also keep in mind that cybercriminals are anonymous and they have no reputation to protect, which means they have no incentive to hand over the decryption key, as this could make them easier to trace. In addition to this, there is now evidence that hackers are actually repeating other hackers’ successful ransomware activities. This not only suggests that businesses that are paying ransoms aren’t getting their data back, but are likely inspiring future attacks. If a company does choose to pay the ransom, as in this case Nayana did, and they gain access to the decryption key or a tool which can help them to access their files again, there is still no certainty that the organisation is secure again. Indeed, in many ways the company is now more vulnerable to ransomware attacks, as it will have a reputation for paying and this could actively encourage additional ransomware attacks and even bigger financial demands. We would also love to hear more of Your Thoughts on this, so feel free to comment below and tell us what you think!